Fluidwell is a Dutch manufacturer of highly robust process displays and controllers used in the shipping process and the world mainly. These displays and controllers are also outdoor viewable and apply in hazardous areas. 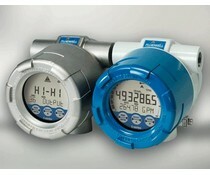 Focus is on applications for flow, pressure, temperature and level control and / or display. The D090 is a local, panel mount indicator to display the actual process value, range and loop current. The measuring unit to be displayed is simply selected through an alfa-numerical configuration menu. The D077 is a versatile, panel mount level monitor with linearization and continuous level monitoring feature. In addition to the average Span, eight linearization points can be entered to compensate for the tankshape. The D074 is a basic, panel mount level / pump controller that works with a preset value and two switch points to control a pump or valve. The D073 is a versatile, panel mount level monitor with continuous level monitoring feature. The D070 is a straight forward, panel mount level indicator. The measuring unit to be displayed is simply selected through an alfa-numerical configuration menu. The D050 is a straight forward, panel mount pressure indicator. The measuring unit to be displayed is simply selected through an alfa-numerical configuration menu. The D043 is a versatile, panel mount temperature indicator with continuous temperature monitoring feature. It offers the facility to set one low temperature and one high temperature alarm value. The D040 is a straight forward, panel mount temperature indicator. The measuring unit to be displayed is simply selected through an alfa-numerical configuration menu. The D030 is a straight forward but basic, panel mount batch controller. The operator can enter a batch quantity easily or execute repeating batches. The D016 is a local panel mount indicator with linearization to display the actual flow rate, total and accumulated total. 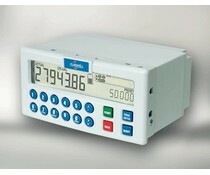 The D014 is a local panel mount indicator to display the actual flow rate, total and accumulated total. The total can be reset to zero by pressing the CLEAR button twice. The D013 is a versatile, panel mount flow rate indicator and totalizer with continous flow rate monitoring feature. 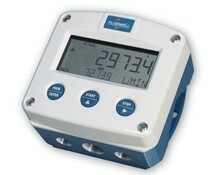 The D012 is a local, panel mount indicator to display the actual flow rate, total and accumulated total. The total can be reset to zero by pressing the CLEAR button twice. The D011 is a panel mount indicator to display the running total and accumulated total. Total can be reset to zero by pressing the CLEAR button twice. The D010 is a local, panel mount indicator to display the actual flow rate. The measuring and time unit to be displayed are simply selected through an alfa-numerical configuration menu. The N410 batch controller distinguishes itself by its user-friendly features: Numerical keypad, clear programming menu structure, easy to read display and simple mounting enclosure. The F141 incorporates two completely separated temperature indicators in one enclosure. There is no relationship between the inputs, even different measuring units can be used. The F120 single loop controller has been designed to offer outstanding control performance and provide a reliable solution for a wide variety of flow control applications. The F118 is a versatile flow rate indicator and totalizer with the ability to precisely linearize the flowmeter signal. In addition to the average K-Factor or Span, ten linearization points can be entered with their frequencies or values. The F117 has been developed for applications where the totalized quantity has to be monitored and not the flow rate. When a start command is given, the totalizer is reset to zero.